Whatever the cause, any group launching a fundraiser is in need of assistance. The amount of time, money and effort that goes into a fundraising campaign can seem daunting to some, but for other organizations it feels like an exciting challenge. Rather than being intimidated by the task at hand, see it as an extraordinary opportunity to do something memorable for the special a cause you believe in. The first step to take is to set obtainable goals, and then to brainstorm fundraising ideas for how to achieve them. Many interest groups begin with planning expensive, complex community fundraisers that require extensive amounts of planning and widespread participation. Car washes, banquets, bake sales and yard sales—while all fantastic ways to raise money—can be difficult for some causes that are not already on the radar of potential supporters. There is no worse feeling than putting in enormous efforts, only to still fall short of your objectives. It`s crucial to select the right fundraiser for your cause. JustFundraising.com is an organization that has helped over 30,000 groups raise $70 million for various causes and charities. Our expertise, the culmination of fifteen years in the fundraising industry, allows us to take simple fundraising campaigns and elevate them to a place of excellence. Any initiative—no matter how small or large—receives attention from one of our personal fundraising assistants. 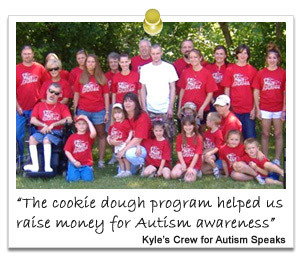 We pride ourselves in helping implement easy, high-profit product fundraisers for special causes. How can we help you achieve your fundraising objectives today? For helpful fundraising tips on how to setup your fundraiser click here or scroll-down the page. How to Plan Your Charity Fundraiser Effectively - Raise Funds and Raise Awareness! Decide on the Ideal Fundraiser! Are you fundraising alone or as a group? If you’re fundraising all by yourself, you need to inquire about the smallest order size for some of the products. You don’t want to wind up with left-over inventory, because it will eat away at your profits. JustFundraising.com has numerous fundraising products that have a minimum order of just 1 case for about a $100 cost - from lollipops, to beef jerky, Hershey’s candy and much more. Along with this, there’s never any shipping and handling fee! If you’re a group, you can take advantage of some volume savings, so you’ll profit much more. Are you providing products they really would like? If you’re raising income for a women’s special cause, maybe re-usable shopping bags, flower bulbs or flavorful cookie dough would be appealing? If you’re raising profit for a men’s nonprofit, try beef sticks, or various spicy, salty and sweet nuts and snack food items! Bad pricing equals bad sales! Choosing the right product includes choosing one with the right price. 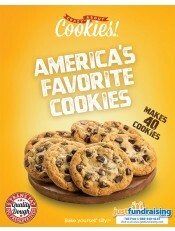 We’ve realized that $10 gourmet cookie dough, in some areas, sells 2 to 3 times more in comparison with the $14-$15 larger format cookie dough. However in other areas, we`ve found the sales to be unaffected by the price point. Sometimes, in more prosperous cities, $20 products sell well, though in others, $20 items just don`t sell. Be certain that you’ve worked out the optimal price level for your community. Does your fundraiser product help to generate exposure of your non-profit? If creating more understanding and awareness for your special cause is significant to you, give thought to a build-your-own or personalized fundraiser product like custom discount cards, donation cards, personalized t-shirts, water bottles or pens, or similar products which can bear your logo and slogan. Generally, buying customizable products suggests that you need to buy a sizable amount, therefore if there are just one or two of you fundraising, stay away from customizable goods. We want to help. Call one of our experts at 1-888-440-4114. We’ll answer your questions and help you find the perfect fundraiser for you. Establish clearly the reason why you're special cause is raising funds - this needs to be announced throughout your campaign, by using every one of your channels available to ensure that the sellers and supporters know what they’re putting their hard work and hard-earned dollars toward. Decide on how much money you realistically require to raise. If it’s a lot, think about breaking it down over a number fundraising campaigns or events. Identify who your volunteers and sellers will be, and the quantity each needs to sell, in order for you to realize your objective. 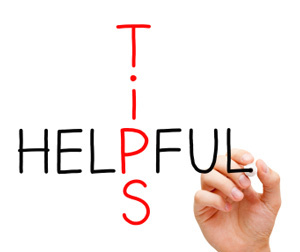 Manage your helpers and sellers well - work with people who seem to be sentimentally connected to your charity, be precise with regards to their tasks and objectives, and don’t neglect to thank them and validate their efforts regularly. Establish all the key dates -kick-off day, collection dates, final date to submit all money raised, etc. Consider incentives for your volunteers and sellers - in many instances you won’t need to have any given that they’re assisting you because they believe in the cause and the whole purpose is to raise funds. Usually, recognition, a personal thank-you and the experience of reaching their target is more than sufficient. Instruct Your Fundraising Members HOW and WHERE to Sell! Make certain your sellers have a copy of the ideal sales pitch and have them practice it several times on the day of your kick-off launch. Remind them that people’s generosity arises from being conscious of WHY you are fundraising! Consider having teens and adults sell door-to-door in your community, but be certain they are doing this in 2’s and 3’s. Remind them to ask office workers to help your non-profit. Tell them to speak with buddies via Facebook and other social sites and ask them to assist your fundraising project. Have your more outgoing volunteers set-up booths in super busy areas such as departmental stores, supermarkets, sports arenas - make sure to get approval first. Generate Awareness for Your Special Cause Fundraiser! Get free advertising: Try to get donated advertising space in your local newspaper, on your community web site, and on any city controlled digital display. Use social media: If your charity has a web-site or Facebook page, take the opportunity to advise your volunteers, sellers, fans, followers and other likely supporters about your cause and HOW their financial support will have an impact! Your sellers: Make sure they detail your charity quickly but effectively, listing the top 1-3 key facts that you’d like your community to recall about your charity. Whether a person supports your fundraiser or not, give out them a simple flier explaining your charity - “3 things you should know about our cause” - it’s a terrific way to educate them and improve awareness! 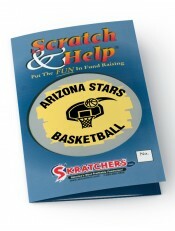 Customized fundraising products: Sell a fundraising product that has your brand and slogan on it. Scratch cards, custom savings cards, personalized pens, awareness bracelets and other customized merchandise are a great way to repeatedly remind your supporters of your non-profit. Identify the BEST spots to sell: You want to sell where your target market hangs out in large numbers - for instance, if you’re raising dollars for a kidney transplant consider setting up a booth at your most popular local shopping center, local sports stadiums and key family destinations. Kids shouldn't fundraise house-to-house alone. They should always be accompanied by a parent. Teenagers and adults should fundraise in two’s or three’s and be sure they never enter someone’s house for any reason. It’s also good to keep one individual at the end of the driveway if perhaps they need to call for help. Don’t keep loads of money on you. Store it away now and again, prior to heading back out to raise funds for your special cause. We are a non-profit organization that teaches students of age 5-16 years the basic foundation of self-transformation with service to others. We decided to try justfundraising.com to raise money for students in India whom lost their schools due to the July Uttrakhand floods. With this fundraiser our students could reach out to various other communities in support of our cause. The Quote candles were perfect as they represented hope to these children. 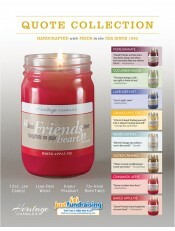 Our students sold over 900 candles in 3 weeks. Thank you and we look forward to working with JustFundraising again and their friendly and helpful staff. Thank you once again for all the help and wonderful fundraising. We all worked diligently to raise funds using JustFundraising. 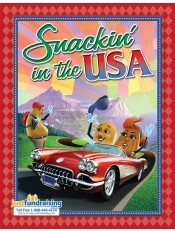 The items in the Holiday brochures sell themselves. Customer service was fantastic. We have received such great help it has been easy to raise funds for local charities.Thank you for the opportunity.